In a letter to the global cricket body, the BCCI has also expressed concern over the “safety and security” of players and match officials for the World Cup in the UK, starting May 30. The BCCI has formally asked the cricketing world to sever ties with Pakistan in the wake of the Pulwama terror attack that killed more than 40 CRPF personnel. In a letter to the global cricket body, the BCCI has also expressed concern over the “safety and security” of players and match officials for the World Cup in the UK, starting May 30. The BCCI decided to send the letter to the ICC after the Committee of Administrators (CoA) met Friday. The letter spoke of voicing the cricket board’s concerns following the terror attack on Indian soil by a Pakistan-based terror outfit. “In view of the aforesaid terrorist attack, BCCI fears for the safety and security of players and match officials participating in upcoming ICC events including the ICC Cricket World Cup 2019,” BCCI CEO Rahul Johri wrote to the ICC’s independent chairman Shashank Manohar, chief executive David Richardson, the England and Wales Cricket Board (ECB) chairman Colin Graves and the 2019 ICC World Cup managing director Steve Elworthy. “The BCCI also wishes to express its concerns over the safety and security of fans of Indian cricket at the upcoming ICC Cricket World Cup 2019. The BCCI trusts that the ICC and ECB will ensure that the most robust security is provided to players, match officials and fans of Indian cricket for the upcoming World Cup,” it said. 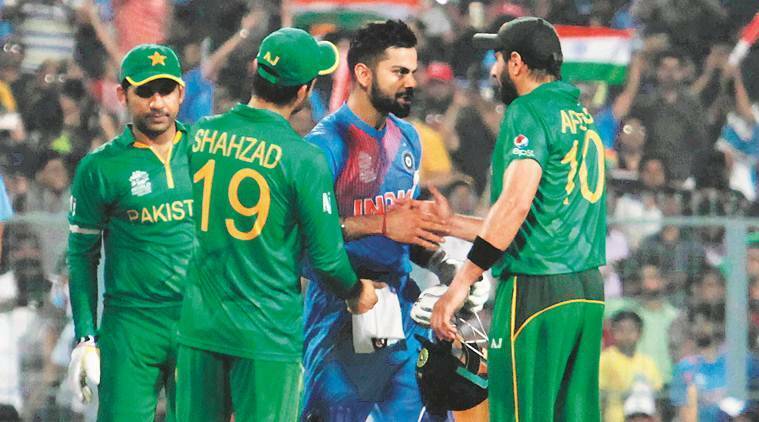 Reaction to playing against Pakistan has been sharp from Indian cricketers, past and present, following the terror attack. Former India captain Sourav Ganguly called for cutting off all sporting ties with Pakistan, which off-spinner Harbhajan Singh echoed. On Friday, however, Sachin Tendulkar said he would personally “hate” to concede two points to Pakistan (in the World Cup), helping them in the process. Meanwhile, the CoA chairman said the money allotted for the opening ceremony of the IPL this year will go to the families of the Pulwama attack victims. “We will not have any inaugural function for the IPL and the money budgeted for that goes to the martyrs’ families,” The budget for the IPL opening ceremony last year was Rs 30 crore,” he said.